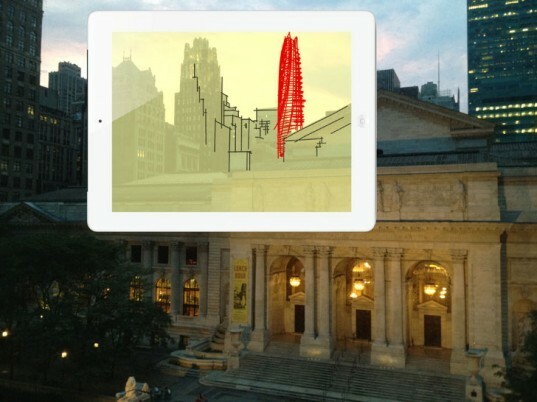 Design, Sketch and Communicate With Morpholio's New Trace App - Now Available! Earlier this month, architect Michael Graves submitted an op-ed piece to the New York Times discussing architecture and the lost art of drawing; building information modeling has taken over the profession, often dominating the design process from conception to execution -- sometimes to its detriment . But the architects of The Morpholio Project still see a future for the hand-drawn, and they want to fuse the way design was traditionally done with new technology that gives creatives the ability to digitally sketch on "old-fashioned" trace paper and seamlessly share their ideas with one another -- kind of like in the old days. Simply dubbed 'Trace', the innovative Morpholio app "allows users to instantly draw on top of imported images or background templates, layering comments or ideas to generate immediate, intelligent sketches that are easy to circulate." Jump ahead to learn more about this revolutionary new design tool. Created by architects, Trace addresses a number of questions about how a digital culture affects the way creative work and connect with one another. It has been predicted that in 2020, there will be 50 billion mobile internet connections worldwide — that’s the equivalent of seven devices per person. The necessity to create tools that can quickly adapt with the ever-changing and ever-growing face of tech is high for any industry, and developing tools for the creative community is imperative. Trace itself operates in two modes: One is communication, in which the user can simply trace over something in order to give feedback or convey information quickly, and graphically; and the second is idea exploration. “The emphasis is on design processes that are reflective and conceptual versus merely iterative.” says Co-Creator Anna Kenoff. Trace argues that it is valuable to take sketches out of CAD programs, draw on top of them; analyzing intention, concept, or diagram, and then plug them back in. “Whereas BIM software improves production optimization, the Trace software is about assisting and evolving design process traditions by exploring new relationships between brain, hand, and technology.” says Co-Creator Toru Hasegawa. The software also imagines gathering information such as field conditions, construction photos, contact sheets, or sourcing imagery, and streamlining the process of editing, commenting and communicating instantly in sketches. Trace also works in tandem with the Morpholio app which offers a mode present work digitally, seamlessly. You can read more about this particular app here in our previous article. Morpholio Beta 1.3 and Morpholio Trace are both now available for download in Apple’s App Store, and accessible via MyMorpholio.com for FREE! 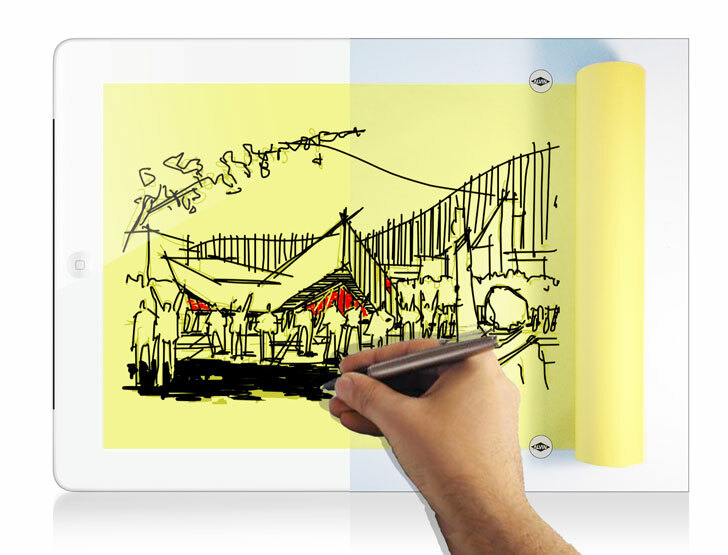 Design, Sketch and Communicate With Morpholio's New Trace App - Now Available for Free! Created by architects, Trace addresses a number of questions about how a digital culture affects the way creative work and connect with one another. It has been predicted that in 2020, there will be 50 billion mobile internet connections worldwide -- that's the equivalent of seven devices per person. The necessity to create tools that can quickly adapt to the ever-changing and ever-growing face of tech is high for any industry, and developing tools for the creative community is imperative. Trace itself operates in two modes: One is communication, in which the user can simply trace over something in order to give feedback or convey information quickly, and graphically; and the second is idea exploration. Those that have ever used trace paper know that the drawings you create are unique in multiple ways -- they document a thought process, a work flow and an experimentation and exploration of various ideas. These can be set aside, referenced, but never forgotten. "In the architectural world, trace can also be seen as an antidote to the prevailing digital model based design process, including parametric modeling and BIM (Building Information Modeling). The ease of creating automated or data based models can lead to a bypassing of crucial steps in the conceptual process, particularly if forced to be far too specific, far too early. Design tools should dis-inhibit through freedom and flexibility - something most CAD tools could strive further towards. It is a goal of the Morpholio Project to make software that opens up exploration and super-charges the creative brain, keeping constant the various streams of valuable feedback." "The Trace App is beautifully simple, intelligently clean and familiar in its canary yellow background. It begins with a single page on which to sketch and allows for a variety of underlays, including templates, photos, or any imagery pulled from the cloud. From the first line it provides effortless access to a variety of simple functions. The key function however is the 'New Trace Layer' button, which allows a user to take their sketch and add another sheet, then another, and another until the idea or sketch is built to its final stages. With each layer the user can adjust the opacity to either highlight or hide the information behind it." “Tracing over something is absolutely the foundation of the app,” says Hasegawa, “Layers of trace paper are not the same as 'layers' in Photoshop or other tools. Here, they are the stacking of ideas, as opposed to the organizing of files." The software also imagines gathering information such as field conditions, construction photos, contact sheets, or sourcing imagery, and streamlining the process of editing, commenting and communicating instantly in sketches. Trace also works in tandem with the Morpholio app which offers a mode present work digitally, seamlessly. You can read more about this particular app here in our previous article. Created by architects, Trace addresses a number of questions about how a digital culture affects the way creative work and connect with one another. It has been predicted that in 2020, there will be 50 billion mobile internet connections worldwide -- that's the equivalent of seven devices per person. The necessity to create tools that can quickly adapt with the ever-changing and ever-growing face of tech is high for any industry, and developing tools for the creative community is imperative. Trace itself operates in two modes: One is communication, in which the user can simply trace over something in order to give feedback or convey information quickly, and graphically; and the second is idea exploration.